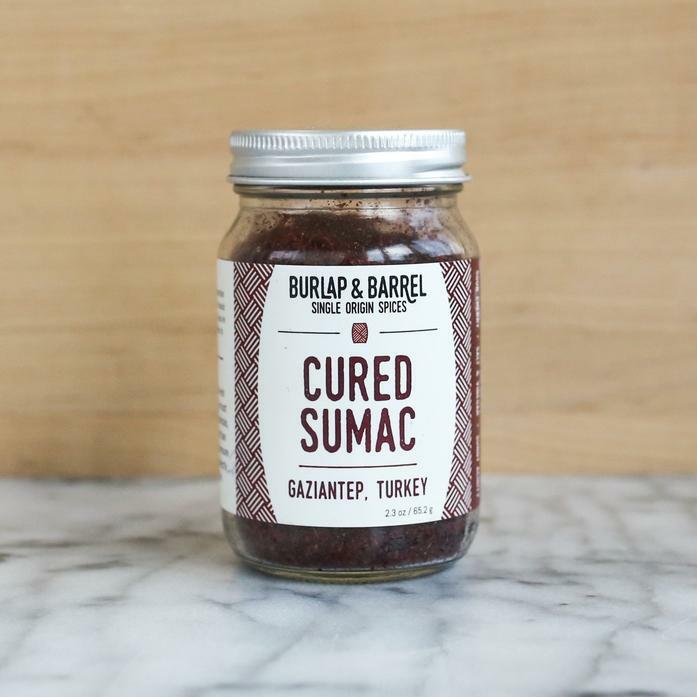 Our spectacular cured sumac is grown in Gaziantep, Turkey, where instead of being dried, it is chopped and packed in salt to preserve it. It has a bright, sour, salty and slightly fermented flavor, and is one of our most popular spices among top restaurant chefs. It makes a perfect topping for anything from hummus to salad to roasted veggies or meat to scrambled eggs. Highly recommended! Each order contains one 2.3 oz jar.